This edited collection on black churches and urban politics uses case studies of ten cities to examine the strategies and tactics of activists, black clergy, and congregations. These case studies illustrate how black activist clergy and congregations negotiate the political terrains of their respective cities. 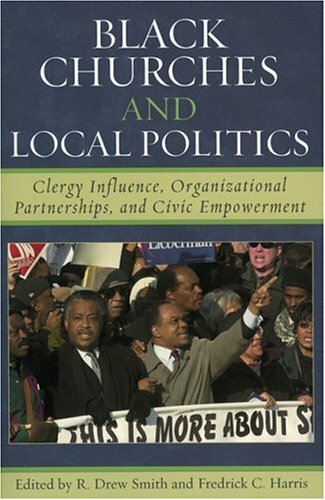 The cases show that the political culture of a city--whether that culture is shaped by machine politics, a legacy of political protest, racial and ethnic factionalism, or a city whose power resides in the mayor's office rather than the city council chamber--can influence the tactics of activist clergy and congregations.